Use the Edit Claim Rules... selection from a right-click on the relying party trust. 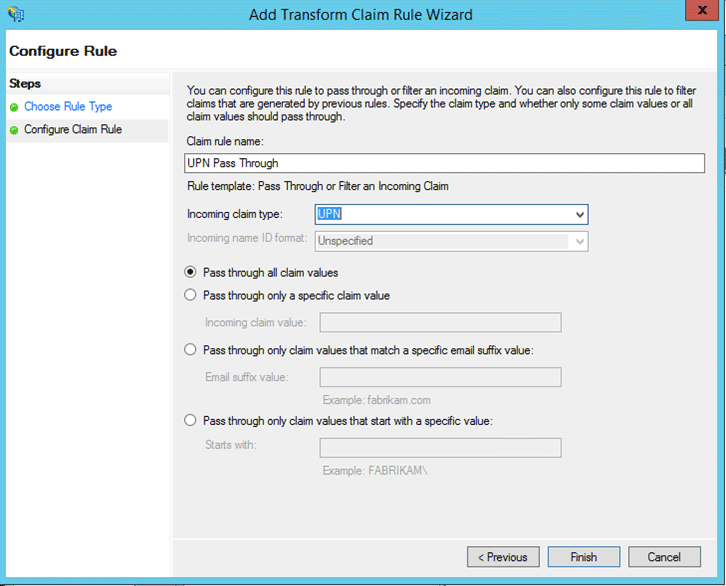 Use the Add Rule... button to start the claim rule wizard. 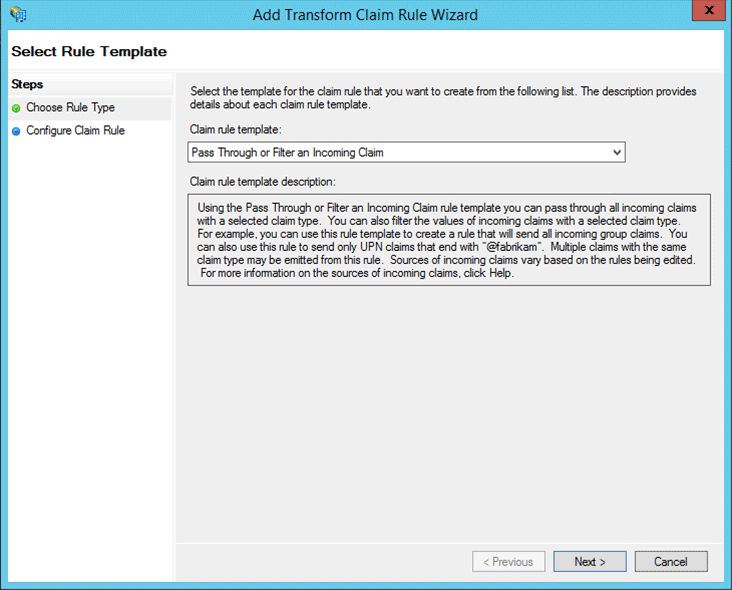 Select the claim rule template, which in this example is Pass Through an Incoming Claim. 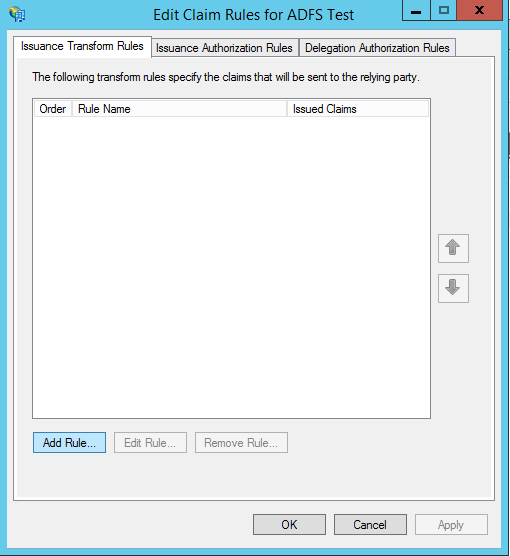 Name and select the claim rule prior to clicking Finish.